Messy channel made by two sets of para-cord guides elastic retainer. So much extra silicon glue and kind of a wavy channel. So messy. But, works. So, now the CBreeze is ready to work and keep me cool using my own watt power. I chose this multi-purpose liquid silicon glue off of Amazon and it works amazingly. It’s a lovely splash of color in my man-cave. Caveat: you need to adjust the resistance. How long does it take to install? The first time will take a couple minutes, with practice about 1 minute . Do I need any tools? No tools are required for installation, and no modifications are needed. Why is this better than my fan? 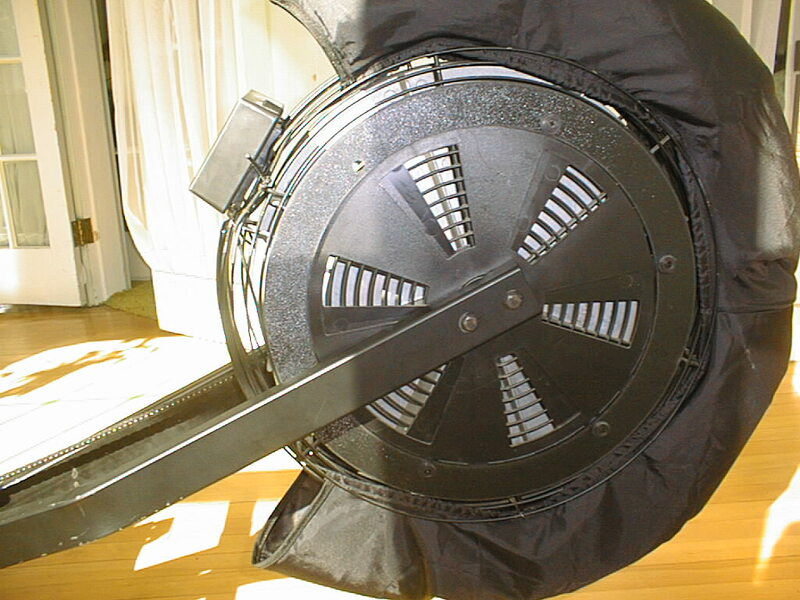 It uses no electricity and will go anywhere that your Indoor Rower will, or to the gym with you. I produce about 100 watts, will it cool me? Yes, I have tested it down to 50 Watts, the airflow in the picture is at a 2:30 Pace (100 watts). Can I adjust the airflow? Yes, by rotating the CBreeze about the perimeter of the fan cage, the airflow can be directed as desired. Does it make Erging easier or harder? If you are currently overheating, I’d have to say easier, or at least more pleasant. What is it made out of? The CBreeze is made of a high quality nylon fabric, selected for durability. Can I still stand my erg on end for storage? Yes, it is flexible so storage options are not changed. 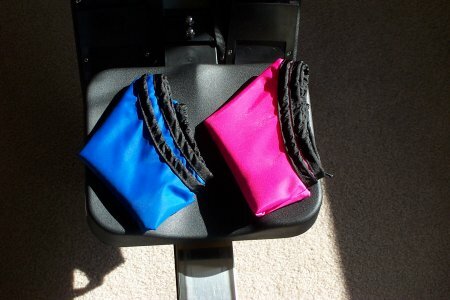 This entry was posted in CBreeze, Concept2, Concept2 Indoor Rower, Erging, Ergometer, Indoor Rowing, Indoor Rowing Gear, Rowing Ergometer, Rowing Gear.